The Katerini Quilts project will continue to be a major focus of toquiltorknot.com as we think about and outline our business directives for the coming year. 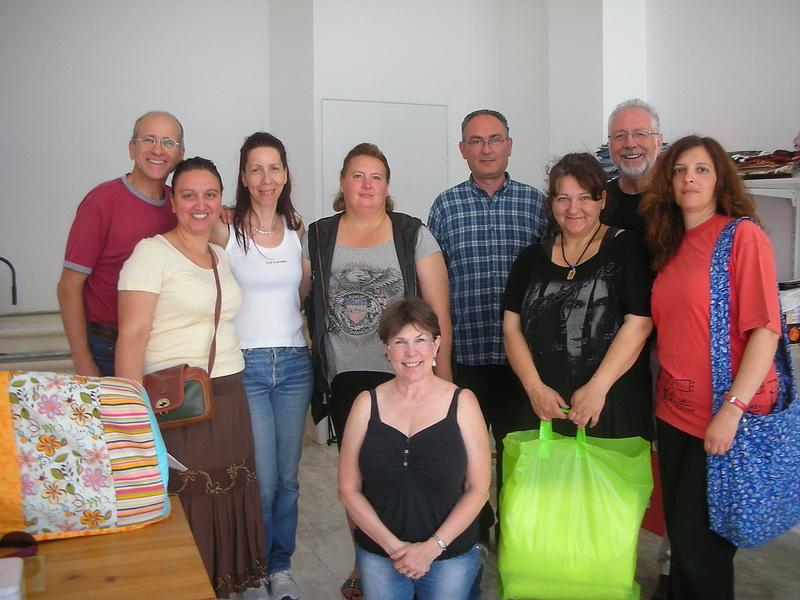 The purpose of the Katerini Quilts project is to support women who are disadvantaged by poverty or by circumstances beyond their control that prevent them from being able to provide even the most basic needs for their families. Most of the women we are working with are either widowed or have been deserted and left with children and or family members to financially support without adequate government or alternate agency intervention. Our goal is to partner with them to create a viable business with income generated from the skill of quilting. Our long-term objective is that the quilting income they generate through learned, successful business practices will be adequate to provide for their family’s financial needs. While we realize that our involvement in this project is at times in conflict with our own main objectives to share a message of hope with the widow, orphan, aged, poor, and women who have been rescued from a life of trafficking through the gift of quilts; we feel that somehow the two must be connected. 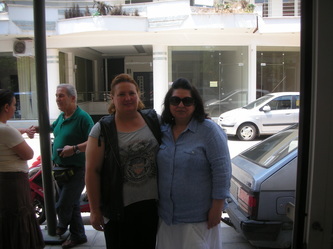 In order to accomplish these objectives my husband and I have been traveling to Katerini on a regular basis over the course of the last two years in order to teach a small but growing group of women how to quilt and to help them learn the necessary techniques and technologies necessary to create their own business presence. We have been able to assemble a team of interested parties who offer different and varied experiences invaluable in reaching our objectives. 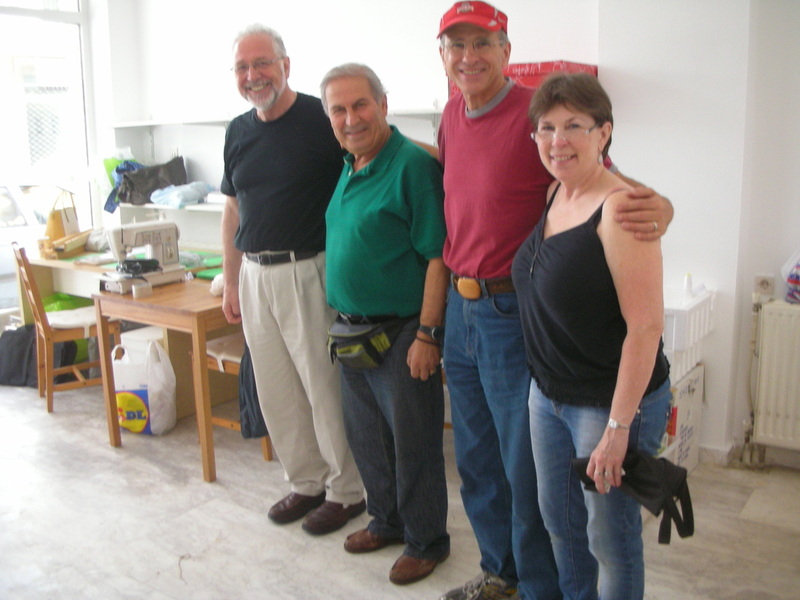 As a result of these team efforts, on June 1, 2012, we were able to move our team into a studio space that may potentially become a first ever quilt shop in greece by the end of the year. currently, the girls are making quilts using a 10 foot quilting frame and specialized quilting machine to finish their pieced tops. This studio space and these tools will be invaluable to these women as they later seek to generate an income from quilting in all of its forms. 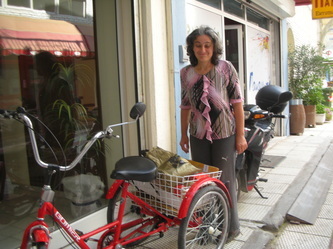 A website has been created, quiltingkaterini.weebly.com, as a greek online marketing tool and site for showcasing the quilts and other quilted items that are being made by the women. Our focus in the years to come will be to further develop an online presence for Katerini Quilts and continue to teach the girls computer and business skills in an effort to equip them to manage their own shop at some point. Recently, a private group in America has donated several new sewing machines for the women in Katerini to use. 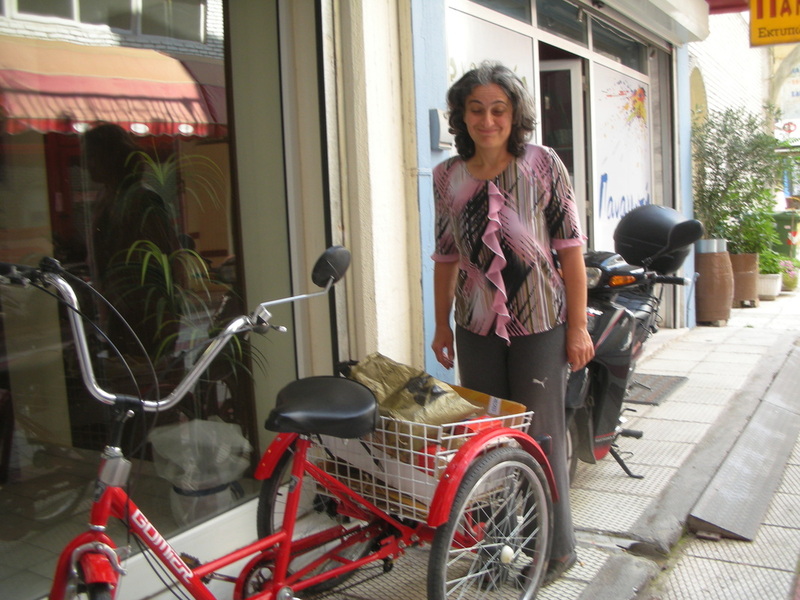 Because of the success they have had in exposing the art of quilting to the community there in Katerini during our 2012 quilting conference, they will be able to use these sewing machines to teach quilting lessons in their studio offered by Benjamin House Orphan Society. All donations for these classes will go to financially support these women. You can learn more about lessons that are being offered and how to order quilts directly from the studio by contacting ignnen@gmail.com. 1. Consider purchasing a quilt or quilted project made by one of these young widows or single moms by going to the katerini website and placing an order directly. You can choose from quilts they have displayed on the site or e-mail them to place a custom order with your own choices for color and size etc. 2. Purchase and send fabric from our own on-line fabric store and support our charity causes at the same time (FABRIC STORE tab on the left) OR donate some of your own fabric stash to be used in making these projects. 100% cotton quilting fabric does not exist in Greece and so we are attempting to begin these projects using donated materials until profits allow the women to purchase new.